The lord of the Manyu clan, the ruler of Japan and Chifusa's father. 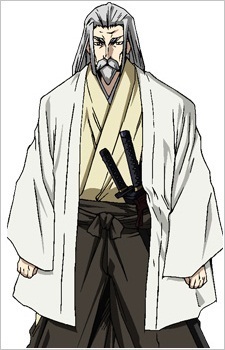 He is the leader of the Manyu and the series' main antagonist. He preserves the Manyu's system of rule, in which a woman's worth is judged on by the size of her breasts, through a totalitarian demeanour of government. He is shown to be very cold and vengeful, issuing a death warrant for his own daughter because of her defection and spares no expense to have her stopped.